Partners for Partners to support each others. As a renowned Odoo professional or Odoo partner you may have already noticed the wind of change blowing while working with Odoo. Sometimes it feels like head wind and sometimes it‘s just the doldrums which makes us partners float lonely on the wide sea. That‘s what you might be doing if you are on your own. However together we could move way and give you an engine that helps you through the lull . Our business needs drive . Sure, in some areas each of us is competing , but be honest: Quite often, we could use a guide, a helping hand, a turnkey solution, best practices, or just a partner to discuss. As an Odoo pro you know: not all of those information and discussion are for the public. So we decided for a closed group network that helps partners. We create a movement which makes Odoo esteem us as their partners, because we have heard too often from many of you that Odoo S.A. is neglecting its partners at the moment. We think that our basic needs shall be heard and i t will happen if we engage for it together. Thus we invite you to participate for a closer collaboration. We‘d like to organize this network and give it the alias 'Odoo Partner.org'. 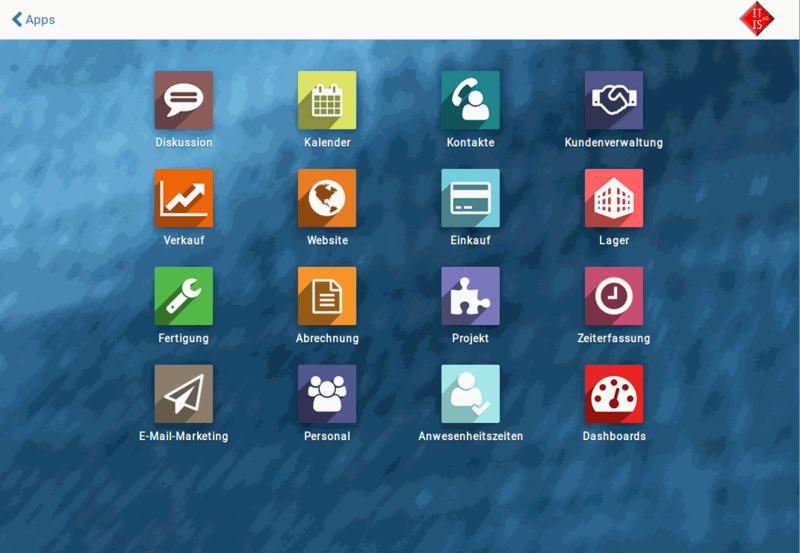 This special version of odoo is a special offer and exclusively available for business network members. Sign up for free if you are not already a member of odoo-partner.org and download the Odoo Enhanced Community. Your can test, use in your project and for your customer - free of charge! Please tell us your experiences of being partner of Odoo and get an invitation to our event. The participation is only possible at invitation. With our survey we want find out, what other Odoo partners think of their partnership and daily work with Odoo. Take part and you will not only get the results of the survey as a conclusion but also an invitation to our event (for Partners and Odoo resellers only). We are going to setup a new survey after the Odoo Experience in late October. The OCA supports the aim of a partner alliance. Improving the work with the Odoo-system and the collaboration of Odoo users and partners- you think, that‘s what the OCA is for, isn‘t it? Exactly, the OCA takes care of the concerns of the open source movement with Odoo in an excellent way. We support the OCA. We think that it is in our mutual interest to adhere to the open source base of Odoo. But face it: Many people think that our business targets aren‘t really well supported by Odoo s.a. at the moment. The OCA stands for development while Odoo‘s only target for you is to sell enterprise maintenance contracts. Who takes care of questions about the partner yield, the lead management, the stability of the contracts and the consistency of the message to our customers? Who takes care of Odoo not only making direct sales and disposing of us – the partners, if we are no longer needed? Who takes care of the partners making a mark while presenting the particular strengths and vertical industry bias? Who organizes a collaborative network for partners to find a counterpart when there is the need for a fit? We think that these questions that are unanswered but deserve an formidable answer. An answer of trust, stability, strategy and security for your own business. After all, this is what you care for quite a bit? We want to answer these and many more questions by creating an alliance of Odoo partners, that help other partners in their daily life to find the right way. Show your profile and products on our marketplace. Become a member of odoo-partner.org!